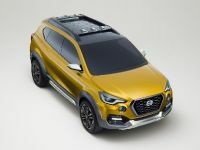 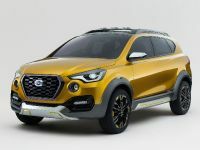 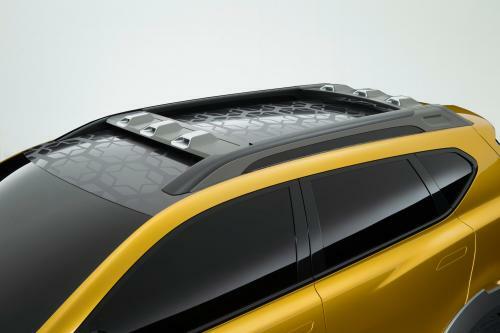 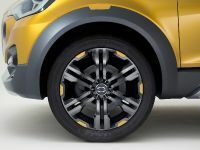 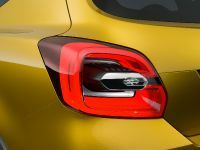 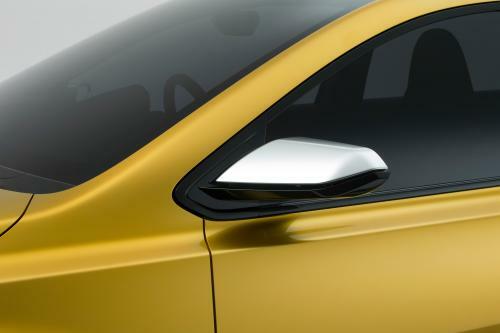 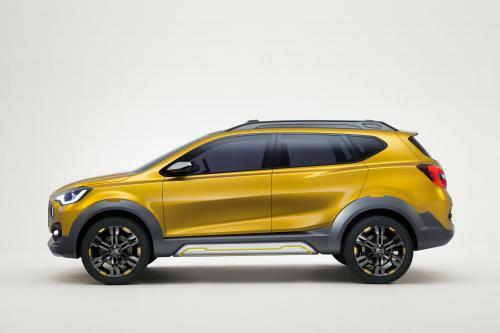 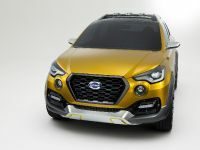 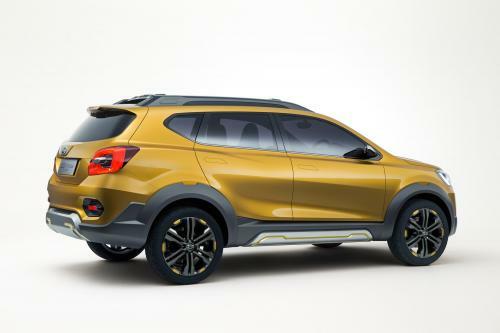 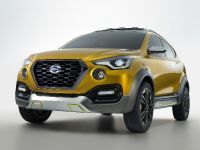 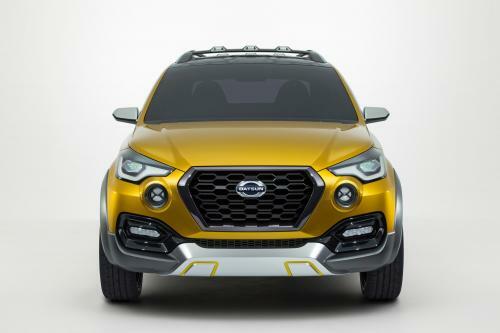 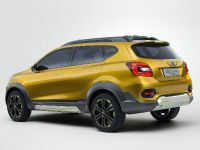 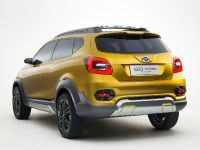 2015 Datsun GO-cross Concept displays company’s vision for possible expansion of the Datsun GO/GO+ family in high growth markets. 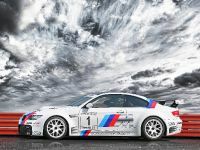 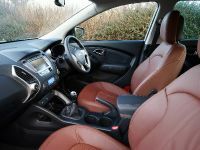 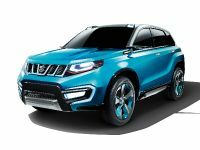 Born as a cross-over with spirit and a sense of adventure, this car can be used for everyday activities as well as holidays or weekend fun. 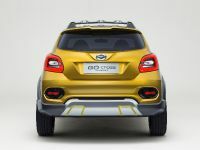 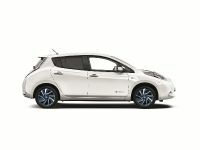 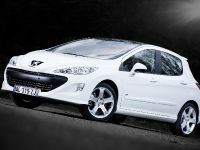 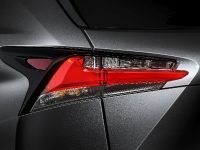 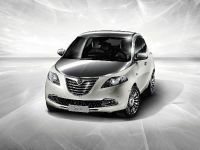 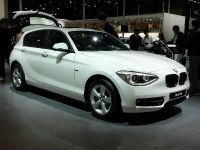 It shares the same platform as Datsun GO+ and borrows key iconic design features from that vehicle.